Adhesives for medical applications. Anticancer drug conjugates with macromolecular carriers. Application of polymers in the therapy for gingivitis, periodontitis, etc. Bioadhesive drug delivery systems. Bioartificial pancreas. Biocompatibility of elastomers. Biodegradable polymers as drug carrier systems. Biodegradable polymers. Biomaterials for the body. Biomimetic materials. Biosensors. Biomaterials and polymers for biomedical sensing. Biomaterials and polymers for drug delivery. Biomaterials and polymers for tissue engineering. 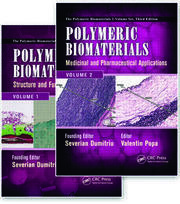 Biomedical pharmaceutical polymers. Biominietic polymer preparation. Blood-contacting polymers. Contact lens materials. Controlled release. Chitosan: structure-property relationship and biomedical applications. Chitosan-based delivery systems. Physicochemical properties and pharmaceutical applications. Composites for dental restoratives. Dendritic polymers and dendrimers. Dental polymers. Dendrimers in drug and gene delivery. Dermocosmetic applications of polymeric biomaterials. 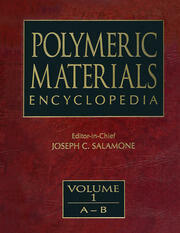 Electroactive polymeric materials. Enzyme-prodrug therapies of cancer. Gas separation membranes. Gelling agents - hair and skin care polymers. Host-guest chemistry. Hydrophilic polymers. Hydrophilic surfaces. Hydrogels. Highly porous polymers for controlled release application. Immobilization of active biopolymers - immobilized enzymes. Liposomes in drug delivery. Mucoadhesive polymers. Microbial polymers. Microencapsulated particles. Microspheres, molecular assemblies. Molecular complexes. Molecular recognition. Nucleic acid analogs. New Approaches to improved polymer implant toughness and modulus. Polyelectrolytes. Polyelectrolyte complexes. Polymers from natural resources. Polysilanes. Physicochemical modification of polymers for bone implant. 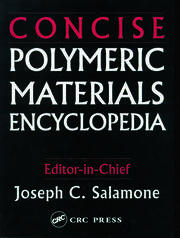 Physicochemical properties of bioactive polymeric composites. Polymers in solid oral dosage forms. Polymer foams. Polymeric biomaterials for articulating joint repair and total joint replacement. Polymeric micelles as pharmaceutical carriers. Polymeric vesicles. Polymer-drug conjugates. Polymers used for the delivery of genes in gene therapy. Polymeric micro- and nanoparticles as drug carriers. Polymeric systems for ophthalmic drug delivery. Polymers for dental and orthopedic applications. Polymers for extracorporeal uses. Polymers for medical adhesives. Polymers for permanently implanted devices. Polymers for skin grafting. Polymers for targeted drug delivery. Polymers for temporary implants. Polymers for tissue engineering. Polymers in dental and maxillofacial surgery. Polysaccharides as biomaterials. Polymeric controlled release systems for management of bone infection. Polysiloxane. Polyurethanes in biomedical applications. Smart polymer. Scaffolding materials. Segmented polyether urethane. Shape memory polymers. Surface modification of Dacron vascular grafts. Synthetic scaffolds used for orthopedic tissue engineering. Textile-based biomaterials for surgical applications. Transdermal delivery of drugs. Thermoreversible gels, etc. Munmaya Mishra, Ph.D., is a polymer scientist who has worked in the industry for more than 30 years. He has been engaged in research, management, technology innovations, and product development. He currently holds research and technical management responsibility at Altria Research Center and serves as the Editor-in-Chief of three Taylor & Francis’ renowned polymer journals. He has contributed immensely to multiple aspects of polymer applications, including encapsulation and controlled release technologies. He has authored and coauthored hundreds of scientific articles, is the author or editor of eight books, and holds over 70 US patents, over 50 US patent-pending applications, and over 100 world patents. He has received numerous recognitions and awards. 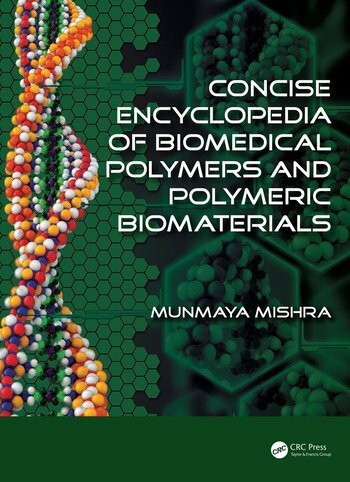 He is the editor-in-chief of the recently published 11-volume Encyclopedia of Biomedical Polymers and Polymeric Biomaterials and the Encyclopedia of Polymer Applications. He founded the International Society of Biomedical Polymers and Polymeric Biomaterials as well as a scientific meeting titled Advanced Polymers via Macromolecular Engineering, which has gained international recognition and is under the sponsorship of the International Union of Pure and Applied Chemistry.